This readable and informative chronicle traces the unique history of the world's oldest press. 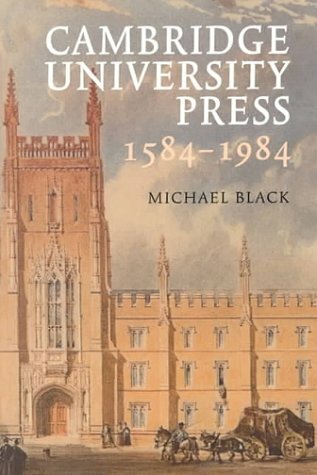 It tells the story of the development of printing and publishing in the University of Cambridge, from the medieval system of resident stationers who dealt in manuscripts to the present international printing and publishing house. The story is told in the proper context of the growth of the University, which has inevitably determined the history of the Press itself; in the history of the book trade as a whole; and in the intellectual and political history of England, which at times has affected the fortunes of the Press. Amusing anecdotes and vivid descriptions of powerful and colorful personalities help to make the story enjoyable to read.